History of Nepal-India relations can best be described in terms of its asymmetric behavior. The influence exerted by Indian establishment can be analyzed using a newly emerged concept in international relations i.e. sharp power. Concept of sharp power has emerged lately and was for the first time used by American scholar Joseph S. Nye to describe new attitude of influential states in conduct of their external affairs. Sharp power includes the tactics of pressure, bullying and deception as means to control international affairs. The new influx of the concept of sharp power in international relations claims emerging influential states use power both in form of coercion and persuasion at the same time. 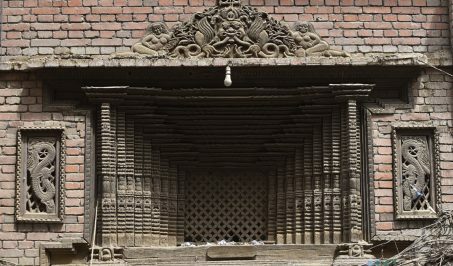 India-Nepal relationship off late has offered ground to justify the very existence of sharp power in Asian order as one of the major techniques to gain strategic benefits in asymmetric relations. The post 2015 Nepal-India relationship has suffered largely because of India’s continuous engagement into mainstream political concerns of the Nepali state. India’s cunning and deceptive interest came to the fore for the first time when Indian foreign secretary Subrahmanyam Jaishankar visited Nepal on the eve of promulgation of Constitution of Nepal. In his visit, he tried to persuade the then Nepali government not to promulgate Constitution citing major flaws. Nepal, however, remained firm over its stand and ultimately denied Indian request for delay in pronouncing its much awaited constitution to the world. India followed by imposing blockade which further escalated tensions between the two states. India’s sharp power was witnessed as they never called it an official blockade and also denied the claim by Nepal in international community by citing reasons of unrest in Madhesh as major problem for them to exercise caution in sending Indian vehicles carrying goods and supplies to Nepal. The Indian blockade which lasted for four months paralyzed the economy that had already suffered the devastating effects of earthquake. India still remains reluctant in reviewing the Treaty of Peace and Friendship signed in 1950 despite the Nepali members of the Eminent Persons Group on Nepal-India relations advocating for necessary changes. 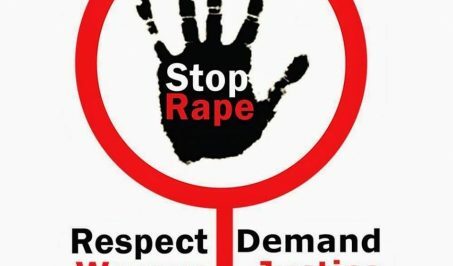 India has offered to respect sovereignty of Nepal on numerous occasions but unfortunately it has always used sharp power on Nepal most of the times. The Nepali state has been ineffective in altering major problems related to Nepal-India relations. When Nepal signed agreement with China to become part of Belt and Road Initiative, India complained their security concerns have been compromised. In a recent development India has promised to help the left alliance in development projects. Indian Prime Minister Narendra Modi has offered to CPN-UML Chairman KP Oli to work in partnership for common prosperity. The Madheshi faction which still remains an important factor has in this regard become a tool of India’s sharp power. India has convinced them to become a part of coalition government to be formed under the leadership of Oli to ensure Indian voice in Nepali government. The Madhesh-based parties earlier declared they will not be part of government unless constitutional amendment is guaranteed but in a political u-turn they seem to have been convinced as per the desire of India. 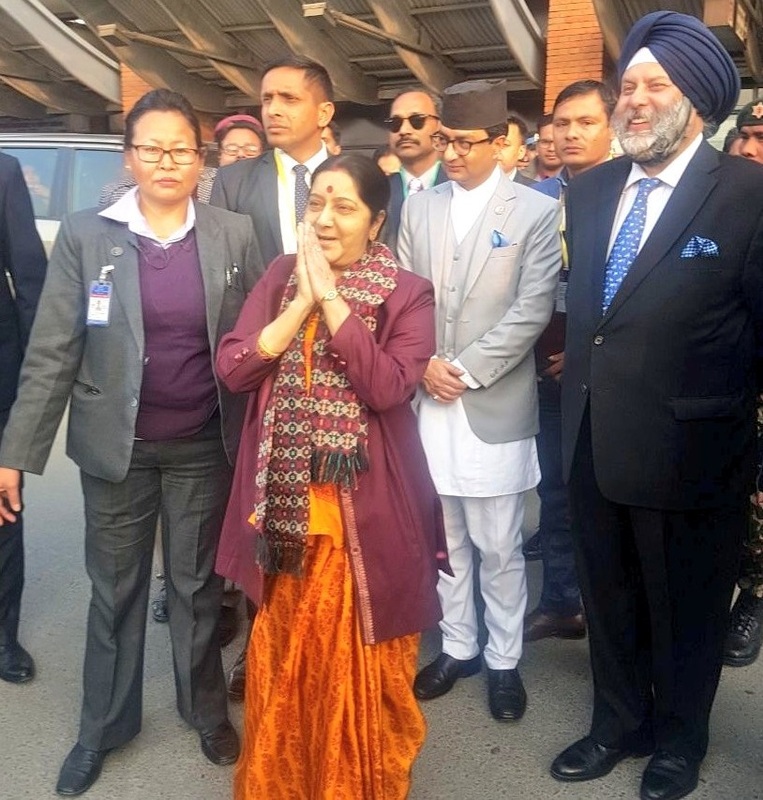 Now that the Indian External Affairs Minister Sushma Swaraj has landed in Kathmandu, it has once again stirred the political system of the country. The visit signifies various implications and major changes and is seen to be another untimely high-profile visit considering that the election of National Assembly and formation of new government are just around the corner. India’s sharpness can be witnessed as it recognizes major threats that can be imposed by the next government. India seems to be bothered by Nepal’s efforts for an equidistant foreign policy with India and China and growing Chinese influence in Nepal, and the issues may dominate Swaraj’s visit and dialogue with political leaders. 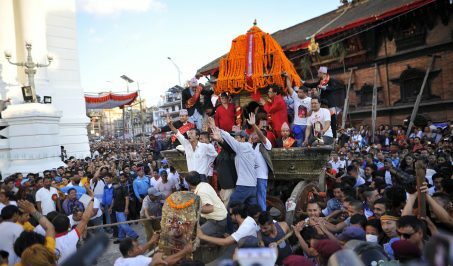 The visit may influence new political order but if it happens it will only hamper the Nepali interest in the longer run. History clearly indicates India has failed to deliver on most of its promises which remains symbolic and deceptive in nature. India will for now offer economic and political help but as soft power dynamics of Indian foreign policy. But it will ultimately turn out to become a bargaining tool in case Nepali leaders fall into the trap. The sharpness of Indian interest has to be realized in order to assure new Nepali decisions do not provoke sentiments of other influencing partners of Nepal. The stage is set for Nepal to welcome foreign minister of India wholeheartedly but they must be able to recognize what changes the visit might persuade. The newly adopted constitution provides ample space for Nepal to adjust India into its development scheme but they must remain skeptical about allowing any such Indian interest which can hinder Nepal’s economic goal.